This congregation was established as Mt. 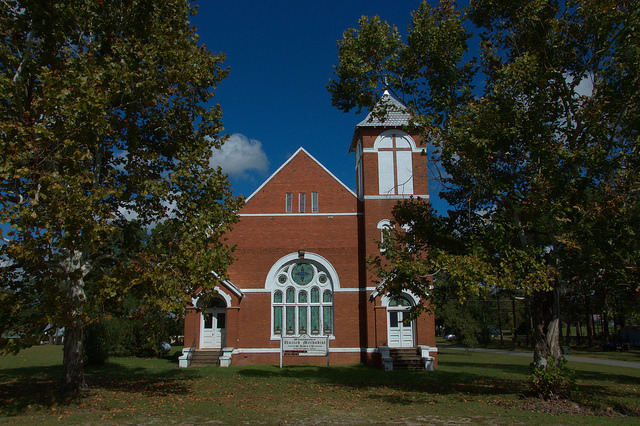 Gilead Baptist in 1891. A Masonic cornerstone indicates restoration or expansion was done in 1975. 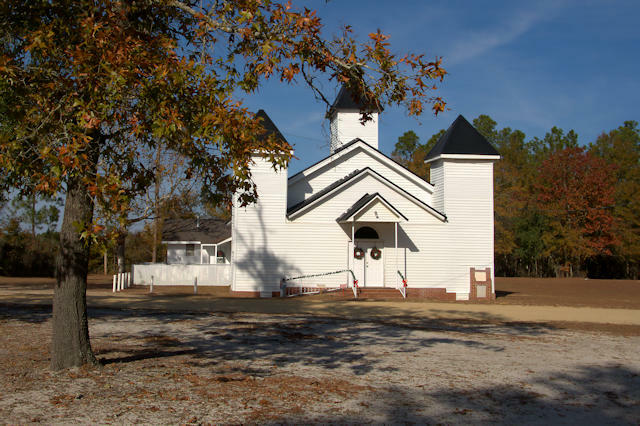 This is one of two beautiful Missionary Baptist churches in Canoochee. It was established in 1896. I originally thought this church was built for another congregation and might have had another steeple, but Eileen Dudley notes that it was built this way. Eileen is the program manager for Historic Twin City and is largely responsible for getting National Register status for the city. 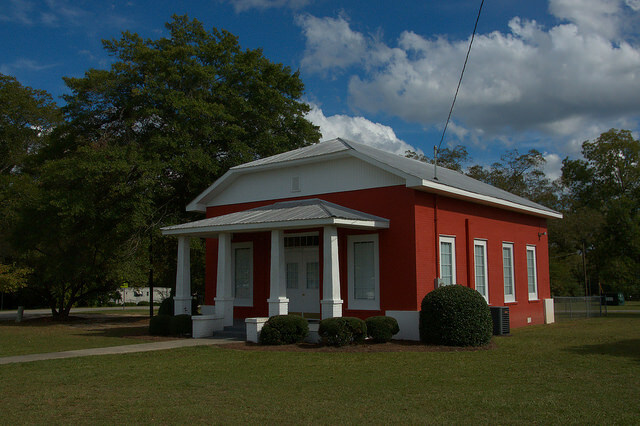 This structure is adjacent to the Emanuel County Institute campus. It’s now the nursery for the First Baptist Church. Thanks to Eileen Dudley for the identification. This style is increasingly endangered. 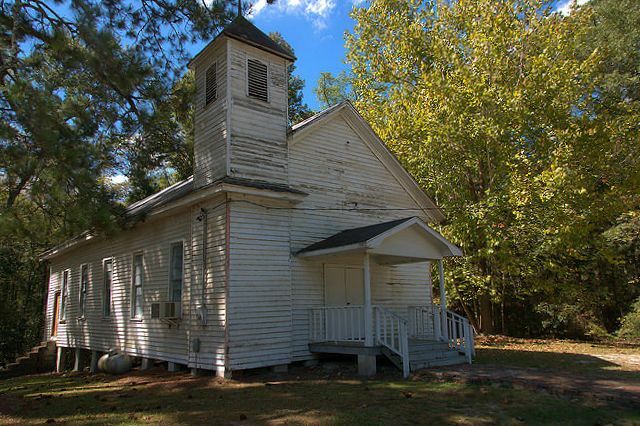 It was once the common style of most African-American congregations in the rural South. 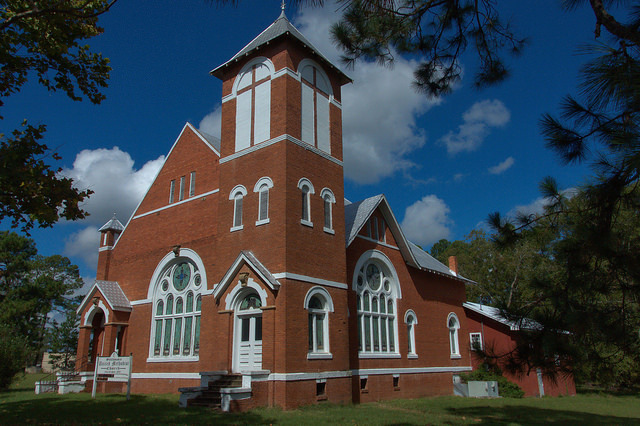 Many of the details of St. James A. M. E. Zion Church’s history are lost to time, but the congregation’s beginnings were in the 1890s. 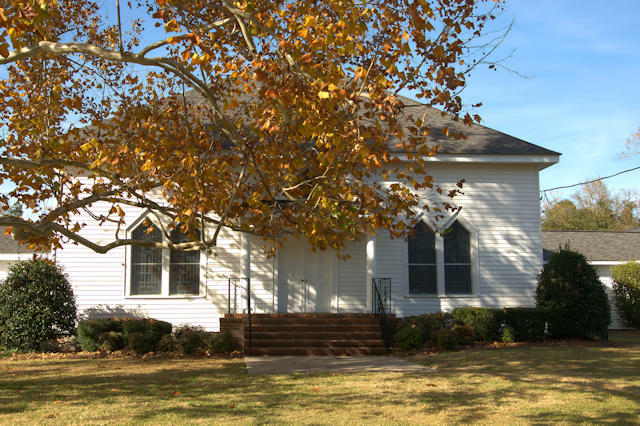 Sam Mitchell, who was married to Sudie Rountree Mitchell, was one of its founders, and Will Mincey was its earliest pastor. 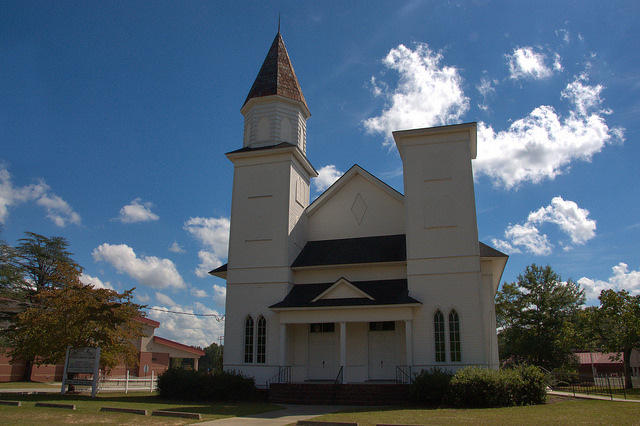 The church structure itself was built in 1908 under the leadership of Reverend J. H. Williams. 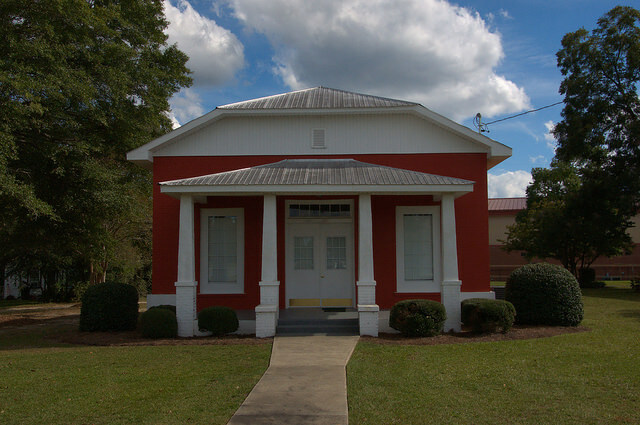 The building was erected by Reverend R. Lee with the help of a group of trustees. –from The Swainsboro Forest-Blade, 3 December 2014. This congregation dates to 1892. 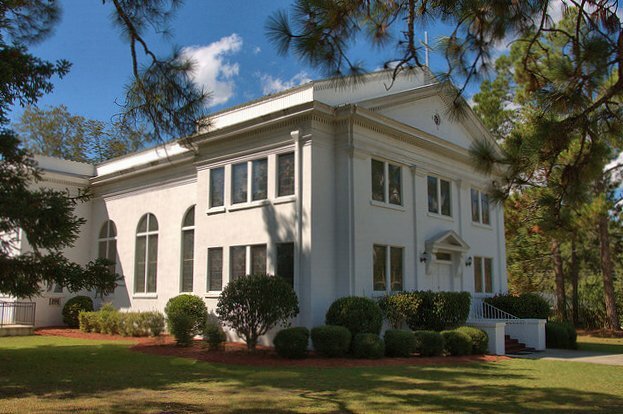 Minister-Architect Charles Edward Choate’s beautiful design for this church embodies his relationship with this congregation, of which he was the first minister. Choate would later leave the ministry to become a full-time architect, well-known throughout the South. I photographed this last year, when the leaves were still on the sycamore. I think I like this view better, as more of the church is visible.